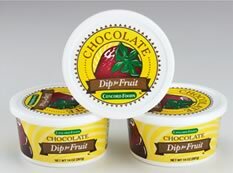 Make your fruit deliciously different by dipping it into this smooth, velvety chocolate fudge 14oz dip. Also delicious served warm over ice cream. Each tub contains 14 ounces.